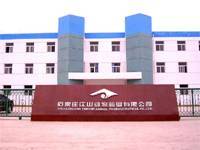 Product categories of Veterinary Injection, we are specialized manufacturers from China, Veterinary Injection, Veterinary Drug of Injection suppliers/factory, wholesale high-quality products of Parasite Veterinary Drug Injection R & D and manufacturing, we have the perfect after-sales service and technical support. Look forward to your cooperation! We have Ivermectin injuection, Oxytetracycline injection, etc. with different dosage form. Preventive and curative treatment of parasitic diseases. Veterinary Injection is widely used in cattle, sheep, horse, pig gastrointestinal nematodes, lung worms and parasitic arthropods, canine intestinal nematodes, ear mites, scabies mites, silk worm and microfilaria, poultry gastrointestinal nematodes and external parasites. Ivermectin Injection is a new kind of broad spectrum, high efficiency, low toxicity antibiotic drug resistant parasites, to parasites in vivo and in vitro especially nematodes and arthropods have good effect. But for tapeworm, trematode and protozoa is invalid.